Relax. I’m not announcing an accident or illness. 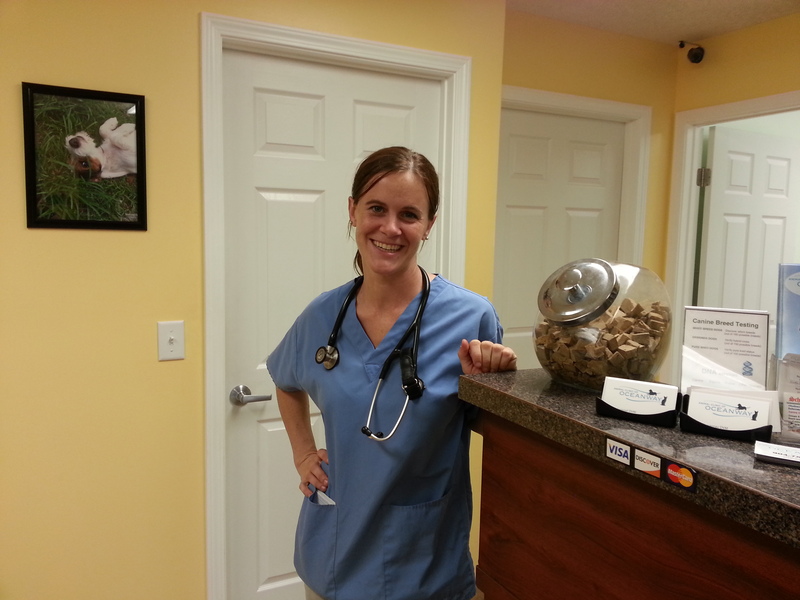 Once again, up in Jacksonville, I’m checking in on the lady veterinarian who now has a new, additional workplace. She is still all about horses but doesn’t want to get out of touch with the smaller species either. 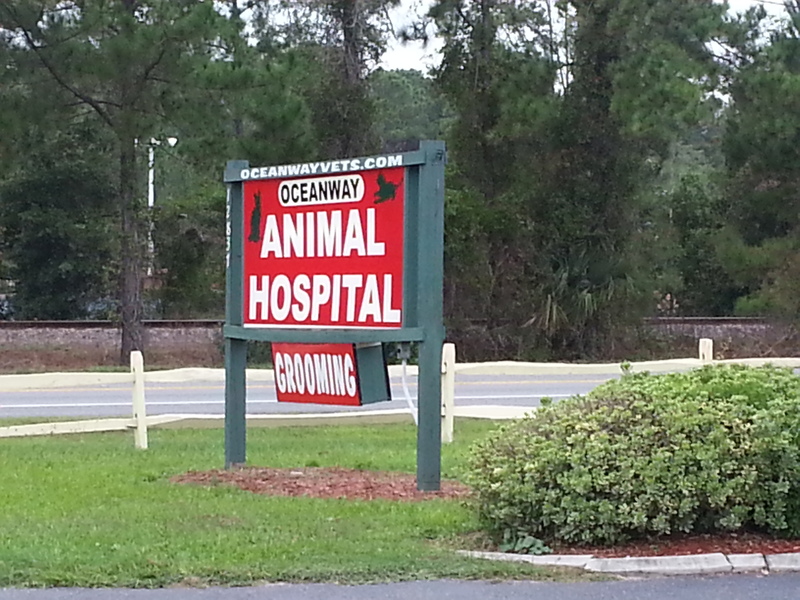 Enter, the Oceanway Animal Hospital and it’s friendly staff. I came on a quiet, Friday afternoon and was able to sign up for the afternoon tour with guide Stephen. He was manning the front desk, phone, delivery door, etc… and was able to do it all while giving me the tour. He is a biology major in his junior year and still relatively new to his job. I think this may have been his first tour. He seemed a little surprised. Like many smaller animal hospitals, I thought this one could have been a house at one point. We walked through the various rooms and were back in the reception area in about five minutes, well… maybe three. But all the necessities were there – exam rooms, lab area, med room, kennel, surgery, x-ray, kitchen. Stephen and I had a little chat while waiting for Dr. Julia to finish with a patient. There seemed to be a lot of laughing and talk going on in the exam room so I assumed it was a happy visit. Dr. Julia took a moment for my requested photo op before starting on her next client, a large orange, tiger-stripe cat who had arrived in the arms of his owner. People love their cats and dogs. I’m sure it will be an interesting place for Dr. J. to work, and it might come in handy at some point since she has her own dog and three cats.